Lexicolatry: Dolls - Why Are They Creepy? Uncanny valley or object of beauty? You decide. *At least, this is according to cursory internet research and that beautiful font of all unverified knowledge Wikipedia - while major dictionaries have embraced coulrophobia, there is more resistance to the terms pediophobia, automatonophobia and pupophobia. One of the predominant theories behind the unease dolls often cause is that of the uncanny valley, defined by Oxford Dictionaries as the phenomenon whereby things that 'bear a near-identical resemblance to a human being arouse a sense of unease or revulsion.' Basically, the further a doll or robot is from being lifelike, the more comfortable we are with it; the closer they are to reality, the creepier they get. Personally, I was hoping that if anything could vanquish my uncanny unease with dolls, it would be an interesting etymology - the word doll comes from the pet-name for Dorothy, following the same pattern as Hal, Sal and Moll for Harry, Sarah and Mary. Dolls also have an interesting history - while the English word dates from the relatively recent 1500s, dolls themselves are perhaps the oldest of all human toys, examples of which have been discovered among ancient Egyptian, Greek and Roman artifacts. All of which means that ... umm ... well ... no it doesn't change anything. I still find dolls creepy, and if a solid etymology and detailed history can't shift that, then nothing can. Do you like, collect or revere dolls? Are you a full-blown pediophobe? Do please leave a comment in the toy box below. Just a thought but might it be that Dolls remind us of death? They might look exactly like a person or a child, so part of your brain naturally expects them to move and act like one, but another part of your brain knows they're not alive and that moment of neural conflict creates an unsettling effect. That could also be why over the centuries, various armies made parts of their armour to look skeletal, to subconsciously unsettle the enemy. Skull and crossbones flag etc. I could be way off. This is a particularly strong coffee. It's an interesting theory, A.N, and I think it has some legs - many of the earliest dolls were thought to be religious artifacts, so that connection with life and death is certainly plausible. I collect - did I ever mentioned I have a phobia where collections are concerned?! 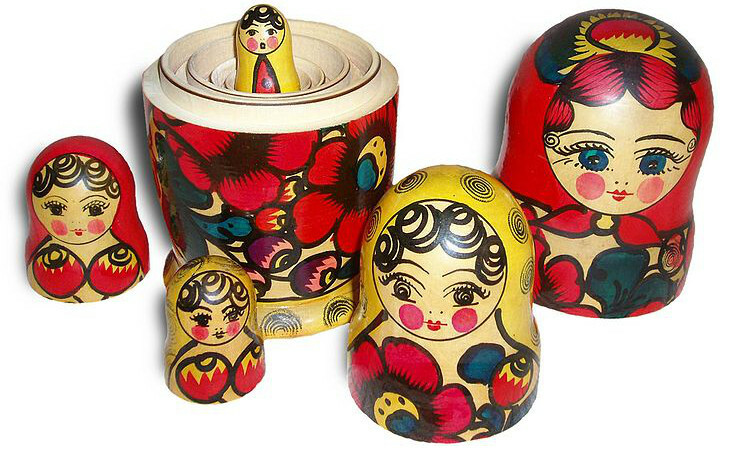 whenever I find myself starting what seems to be a collection I stop wishing for the items that would take me to that route to perdition XD - anyway, I "collect" Matryoshka dolls.